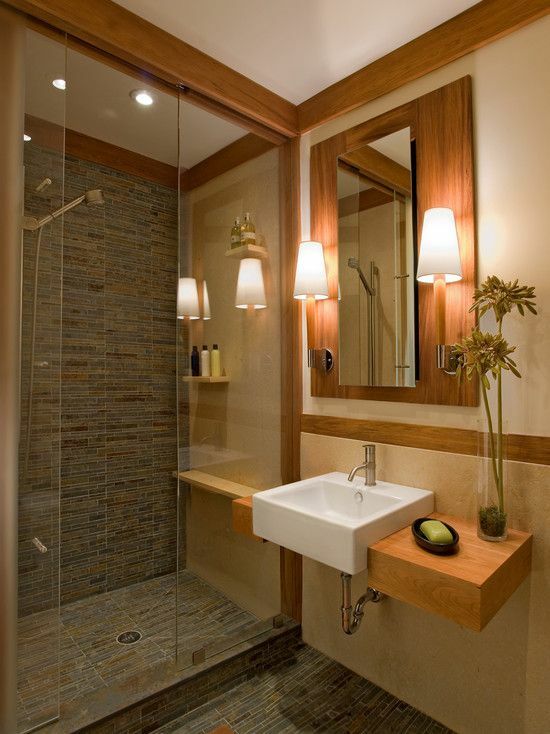 Today, i will share with you that i collect very creative small and modern bathroom design ideas. Firstly i want to talk about tips. 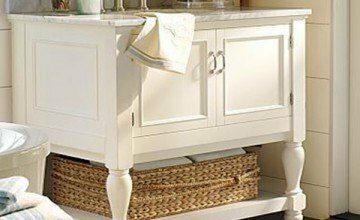 Pedestal sinks are wonderful choices in small bathrooms. 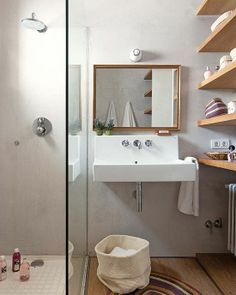 These types of sinks take up less space, and they make a small bathroom look bigger. They also have an elegant appeal to them that is classic and works with any decor. 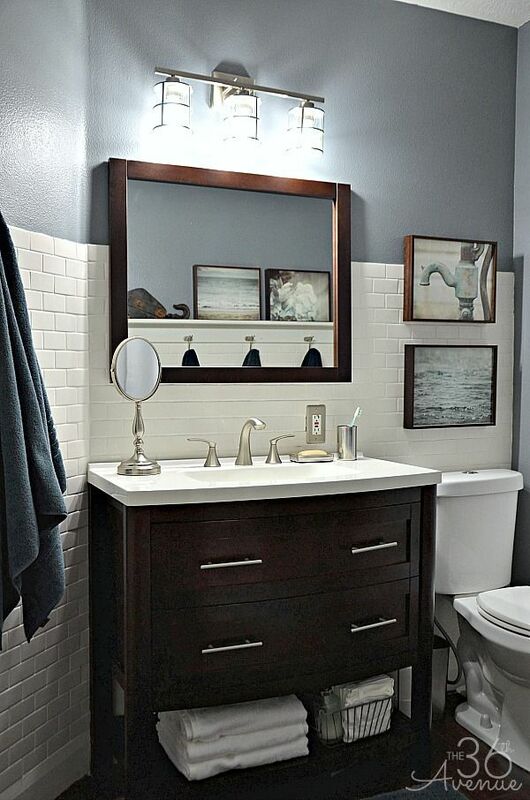 You can find them at your local home improvement store at many different price points.Check this bathroom design with pedestal sink. 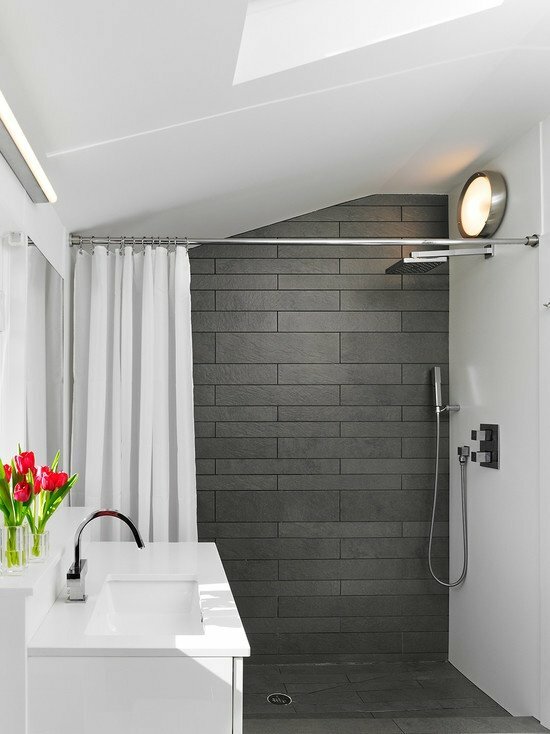 If the walls of a bathroom are vibrant colors, it is a good idea to use plain white tiles on the floor. 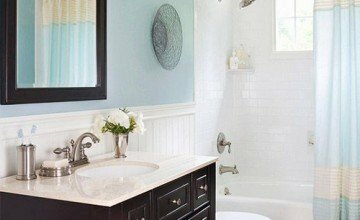 To make the tiles pop, think about painting blues, greens or reds onto your walls. 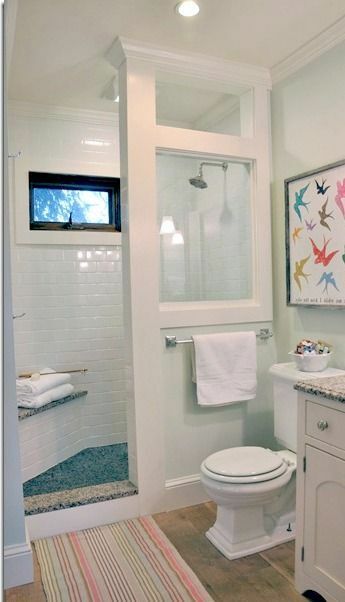 The tiles will appear more vibrant and the entire room will seem fresh and updated. 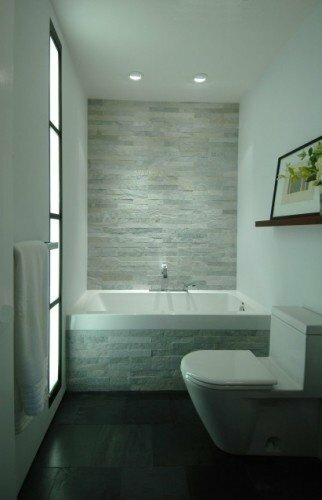 White tiled flooring is extremely versatile, making it ideal for anyone whose taste in colors changes frequently.Check this bathroom design with modern wall design. 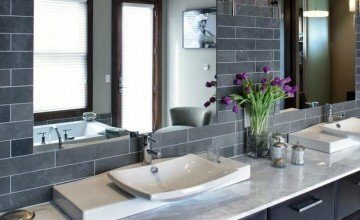 If you’re a fan of eco-friendly design, look into using building materials that have been salvaged or repurposed. 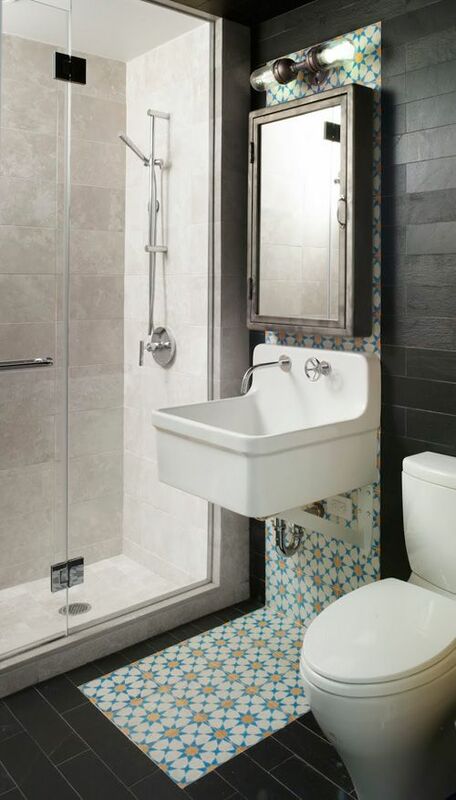 Antique tiles, recycled sinks, and reclaimed wood are all great ways to make your home look great and help the environment at the same time. The possibilities are endless, and you can even use a combination of these materials to create interesting room designs. This will create a great green room without wasting a ton of money on expensive supplies. I’m living in a small flat and These ideas soo inspiring to me. 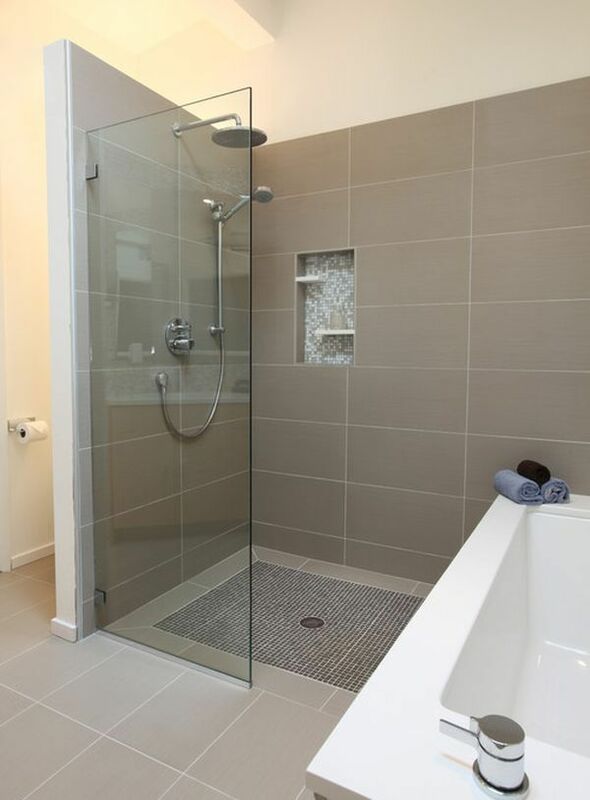 In the third from last picture-is the shower side of the door tiled?